My mission is to provide valuable content on postpartum depression, depression in general, anxiety disorders (e.g. generalized anxiety disorder (e.g., generalized anxiety disorder, obsessive compulsive disorder (OCD), panic attacks) and ways to communicate effectively in order to overcome relationship problems. Read this post to learn one way to begin to work through miscarriage/stillbirth. Heal your relationship with your partner by learning the 5 secrets of effective communication. When your relationship is better, you’ll also feel better. Use the cognitive treatment model to improve your mood. Thoughts are powerful and can completely control the way we feel. With cognitive therapy, the belief is that you can change your thoughts, which then will help you change the way you feel. 1) Think of a recent, specific moment in time when you felt really down and depressed. 2) Rate how depressed you felt from 0-100, with 100 being the worst. 🔸 Positive reframing - identify what depression is trying to do for you that's positive - e.g., it's trying to let my loved ones know I'm exhausted and need help; it's giving me a voice about how I can't do this alone, it's saying I need a break right now and need to do something different to take care of myself, it shows I care about a better connection with my baby/loved ones, etc. With these benefits, write how much you'd like to turn down your depression so you can keep the benefits and shed the cost (e.g., depression is at 90%, I'd like to turn it down to 5%). 🔸Examine the evidence - write down the evidence for and against each negative thought. E.g., what's the evidence you are a terrible mother, what's the evidence against that? Which evidence seems to weigh more? 🔸 Reattribution - if the negative thought is that your spouse doesn't care about you, write down 6 other reasons why they may be reacting in the current way, and rate how true those other options could be (e.g., he doesn't know how to deal with emotions 90%, he's scared 100%, he doesn't know what to say 85%). 🔸 Let's define terms - ask yourself how you would define a label you're giving yourself (e.g., a terrible mom is someone who doesn't enjoy mothering her kids). Then ask yourself if that is sometimes or all the time. If sometimes, then maybe we're all terrible mothers. If all the time, then maybe no one is a terrible mother, including yourself. You'll see that labels lose their meaning. 🔸 Be specific - instead of a general label of "terrible" or "failure," write out what it is specifically that you're falling short on and how you can specifically take steps to improve those parts of your life. 🔸 Time projection - write a letter from your recovered self to your current self and what you'd like your current self to know at this time. 🔸 Double-Standard - write to a friend who's going through the exact thing you're going through who has the same current thoughts. What would you say to them to challenge their negative thoughts? 🔸 Acceptance Paradox - Re-write your negative statements with acceptance that brings you more peace and joy. (e.g., if the thought is "I'm defective," an acceptance statement would be, "Yes, I am. I have tons of flaws and imperfections, but that's actually what people like about me. It makes me relatable." "Yes, I don't get mother of the year award, but who wants to connect with a mom who is perfect anyway. Those perfect Instagram moms aren't relatable and exists only in fairytales. I have a lot to learn, and that's the best part about me." 🔸 Identify the Distortions - Read the list of 10 most common thought patterns/thought distortions in depression and anxiety, and identify them in your own negative thoughts. Write out why your depressed thought may be distorted. Get the list by entering your email below! Get instant access by entering your email below! I want the list now! Thank you! Click here for the list of 10 thought pattern behind our depressed mood. When we're depressed, we often lose motivation to engage in the things we used to enjoy. One behavioral technique to improve your mood is called the Pleasure Predicting Sheet. With the pleasure predicting sheet, you have to know that MOTIVATION FOLLOWS ACTION, not the other way around. So this technique makes you force yourself to engage in various activities, and you'll get to see that motivation follows action. When you sit around waiting for the lightning bolt of motivation to hit you, it'll likely never come. The more we isolate, the less motivated we become. But don't take my word for it. Engaging in the pleasure predicting sheet will allow you to see for yourself that you have power over your motivation and mood. For example, you may not feel like going for a walk, but when you force yourself to do so, you start to get into it after you put on your walking shoes. You may feel even more motivated as you take the first few steps and begin to enjoy the sunlight. Halfway through, you may begin to really enjoy it. 1. Write down at least 7 activities you'll engage in each week for personal growth, pleasure, and/or satisfaction. 2. Write down your perceived satisfaction BEFORE engaging in the activity from 0-100, with 100 being most satisfied. 3. Write down with whom you're engaging in the activities with. If alone then put "self". I want you to schedule a good mix of alone and with others (even if it's just going outside for 10 mins). 4. Level of Mastery measures how perfectly you think you did the activity. This column is a good idea if perfectionism has halted action forward for you. It can help you challenge the thought that you have to completely excel at something for it to be worth engaging in. It can help you get unstuck to see that lower mastery may still create a lot of satisfaction. 5. Write down actual satisfaction AFTER engaging in the activity from 0-100. 6. Comment on what you got from the experiment with each activity. What are new the new lessons learned? For more ways to improve your mood, read Dr. David Burn's Feeling Good: The New Mood Therapy. For $5.69, it's dirt cheap for practical ways to alleviate depression and enjoy life again. Enter your email and get exclusive access to a printable pleasure predicting sheet to help you improve your mood today! Thank you! Click here for the pleasure predicting sheet! Overcome postpartum anxiety with the exposure treatment model. In the cognitive treatment model, we see how powerful our thoughts are in driving our emotions. Imagine two moms. Both had to stop breastfeeding. One thinks, "I'm so glad for more time to rest and that my husband can help with feedings now." The other thinks, "I'm a complete failure and can't even continue this simple task." You can see how different their emotional states will be. The first will more likely feel relief, decrease in anxiety, and overall content. The second one will most likely feel inadequate, inferior to other moms, worthless, depressed, etc. The cognitive model actually has a lot of depth and goes way beyond "positive thinking." When we're struggling in the depths of depression and anxiety, it is not helpful to be told, "just think positively." If we could just turn the switch on like that and stop negative thinking on our own, we would. With TEAM-CBT, we show you HOW to do this at a gut level. There are also over 50 techniques to shift your thinking and deep rooted beliefs, creating a real shift in your brain and most importantly, improves how you feel. I highly recommend completing the motivational treatment model first before moving onto the cognitive model. It makes it even more effective. 1) Complete the exercises in the motivational model. 2) Look at all of your negative thoughts and rate how true you believe each are from 0-100, with 100 being completely true. Turn questions into statements to make the techniques more effective (e.g., Why am I so stupid? becomes "I am so stupid"). 3) Choose one thought in your list to begin to work on. 4) Go through one technique at a time to begin to challenge the thought. 5) It's always a good idea to start with the Identify the Distortions technique. Get a printable sheet that walks you through the 10 cognitive distortions most commonly seen in women with postpartum anxiety and depression. All of our negative thoughts often have almost all 10 distortions. Remember to pick up a pen and paper. The power is in the writing. 6) Straightforward technique: replace the negative thought with a positive thought you believe in 100% after identifying all the cognitive distortions in that thought. Re-rate your belief in the negative thought after engaging in this technique to see if it had power in decreasing your belief. Move on to the next technique if not. 7) Double-Standard Method: Imagine a dear friend is going through the exact same struggle you're going through right now. The unique thing about this friend is they are like you in every single way, with all your strengths, limitations, and experiences. Write back to your negative thought with what you'd say to your friend. Channel your compassion to provide honest feedback to your friend. Your feedback has to feel 100% true and has some power in crushing the negative thought. Re-rate the negative thought to see if it decreased in truth at all. There are many more techniques, and I'm just scraping the surface here. I'll leave you with these for now to not overwhelm you. Contact me with any questions! Get the list of 10 cognitive distortions behind postpartum anxiety and begin to feel better today! Thank you! Click here for instant access to a printable list of the cognitive distortions often seen in postpartum women with depression and anxiety. Hi, I'm Thai-An. I'm a postpartum therapist and mother who is passionate about helping pregnant and postpartum parents overcome depression and anxiety so they can feel like themselves again and enjoy life with their baby and family. After overcoming my own battle with postpartum depression and anxiety, I opened Lasting Change Therapy, LLC in South Oklahoma City to dedicate my counseling practice to helping families have postpartum recovery and wellness, and I truly love it! Overcome postpartum anxiety with the motivational treatment model. Overcome postpartum anxiety with the hidden emotion treatment model. 1) What is birth trauma? 2) How to begin to heal. The sleep deprivation is probably one of the hardest challenges to get through during those first few weeks and months of becoming a new parent. Postpartum depression and anxiety can make it more difficult for you to get the rest that you need. The advice of sleeping when the baby sleeps was not helpful in my case. 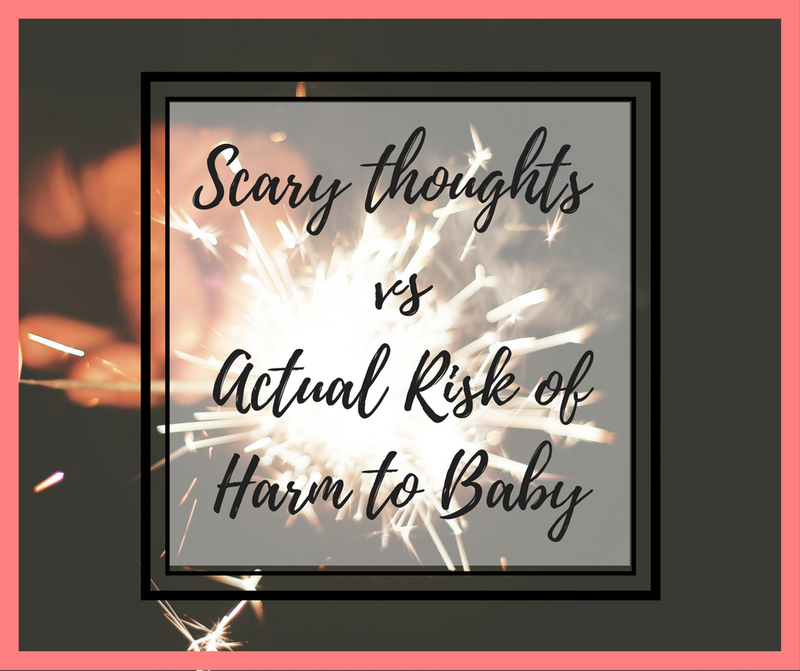 Intrusive thoughts are probably the most misunderstood postpartum symptom. This is when you have thoughts or images of harm coming to your child by your hands, someone else's, or something. These thoughts are disturbing to the mother, difficult to control, and doesn't align with her values. Everyone freaks out when they hear about these scary thoughts, even healthcare providers oftentimes do not know how to respond in a helpful way, magnifying the anxiety and fears in the mother. Our media has dramatized instances of infanticide and stigmatized postpartum depression, forever linking the two. Instances of infanticide are extremely rare and the state of mind of a woman that leads to infanticide is actually very different from intrusive thoughts. Women who have followed through with infanticide were often suffering from a rare postpartum illness called postpartum psychosis. In that psychotic moment, they may believe their baby is possessed or will suffer forever, so ending their life was actually seen as an act of mercy. It's counter-intuitive, but truly an act of maternal love in that state of warped reality. So the major difference is the scary thoughts do not disturb the woman with psychosis, it seems to align with their values at the time. So paradoxically, the anxiety and cocern about the scary thoughts is a good sign. I want to clarify that not all women who suffer from postpartum psychosis are at risk of harming their babies. I've treated several women with postpartum psychosis after they were stabilized in an inpatient setting, and there was not a risk of harming their babies. I also want to additionally emphasize that even in the cases of postpartum psychosis where infanticide is a risk, reporting them is still not as helpful as getting them help and inpatient treatment. They can be stabilized and fully recover after some follow-up care. You are seriously not the only one going through this. If you are suffering from intrusive thoughts, you are seriously NOT alone and NOT a terrible human being for having them. We didn't ask for this anxious symptom. They're also a lot more common than we think. It's just that no one dares to talk about them due to the fear of judgment and uneducated, knee-jerk responses. Almost all of the women I've treated have had some form of intrusive/obsessive thoughts. I've found if there is no psychosis (hearing voices, seeing things others don't see, paranoia, beliefs that are out of touch with reality) or mania (not sleeping for at least 48 hours, hyper-verbal speech, impulsivity, disorganized thoughts), my client's intrusive thoughts have been completely treatable in an outpatient setting. So how do I deal with the scary thoughts? 💖 Try this technique: Write down how you feel when the thoughts come up (e.g., scared, disturbed, sad, anxious, frightened, ashamed, etc). Feeling disturbed shows that I really don't want harm to come to my baby. The anxiety is making me extra alert and cautious so I can protect the baby, this show I really care about my baby's well-bein. My shame shows my high standards and desire to get better, so my thoughts can align with my values again. My sadness shows I value a healthy connection between me and my child that's not where I want it to be right now. I want to repeat that scary, intrusive thoughts are COMPLETELY TREATABLE and really will go away. Get instant access to a free, printable guide for overcoming obsessive, intrusive thoughts. I want the free guide now! For more tips and techniques to feel like yourself again, click here for exclusive access to my free guide and 4-day e-course for overcoming postpartum depression and anxiety. Hi, I'm Thai-An. I'm a postpartum therapist and mother who is passionate about helping pregnant and postpartum parents overcome depression and anxiety so they can feel like themselves again and enjoy life with their baby and family. After overcoming my own battle with postpartum depression and anxiety, I opened Lasting Change Therapy, LLC in South Oklahoma City to dedicate my counseling practice to helping families have postpartum recovery and wellness, and I love it! Do you have pregnancy or postpartum depression/anxiety? Find out with this free screening tool. Are you wondering if you have prenatal or postpartum depression and anxiety? Here is a quick screening tool I've put together to help you identify the main symptoms of depression and anxiety. My hope is that perinatal mood disorders can be regularly screened by doctors so women and men can get the help they need as soon as they need it. Here are 5 things you can start doing today to improve your mood from the research of Harvard's positive psychology professor Dr. Tal Ben-Shahar. These steps work for postpartum depression and depression in general. You're not going to want to do them for many good reasons, including low motivation when depressed and hopelessness about anything being able to help you when in that dark place. I get it. I've been there. Just remember, as Dr. David Burns stated, motivation follows action. Especially during depression, If you wait for that lightning bolt of motivation to hit before you act, it'll never come. We have to force ourselves to take those first steps, then the motivation will follow. Consistent action, one step at a time, on more days than not, is what it takes to recover. Sometimes, it's the simplest tools that can have a powerful impact on our lives. What's important is that we take daily action to implement it. You've probably heard of the power of a gratitude list. This tool is a gratitude list on steroids: the GLAD list. Learn more. Are you experiencing depression and/or anxiety while pregnant or after having your baby? Have you been wanting a free support group with other Oklahoman parents who just get it? If so, this FREE Facebook support group is for you. This is the 3rd and last part of my story. I talk about my recovery and how I overcame my struggle in hopes of giving a struggling mom or dad the gift of hope. This was a gift that was given to me in the depths of my struggle, and I want to pass it on. My name is Thai-An. I am a therapist and mother, and this is my story about my struggle with postpartum depression. I feel a bit exposed and nervous about sharing my story publicly, but my hope is that it will help another new mom or dad in the same place know they're not alone. I hope my vulnerability will give another person the strength to share their story and seek help. My name is Thai-An. I am a therapist and mother, and this is my story about my struggle with infertility. I honestly didn't think my infertility struggle was significant enough to put on its own blog post, but with some encouragement from friends, here it is. I also want to change the mindset that our pain isn't valid because others have been through much worse, because it still is. This story is meant to give background to my postpartum story. Are you a new mom who feels like you've completely lost yourself? Are you feeling sad and scared instead of excited about motherhood? Find out in this article whether you may have symptoms of postpartum depression and anxiety. What is postpartum depression? How is it different from the baby blues? How is it different from postpartum anxiety? How long will my suffering last? Where can I get support and/or therapy? Read on for answers. How do you begin finding a therapist in Oklahoma City when you need help? The process can be pretty overwhelming, especially when you're already struggling with depression and anxiety. Here is a guide on finding a therapist through Psychology Today, good questions to ask your potential therapist to make sure they are a good fit, and great self-help books before investing in therapy.